An RAF Tornado crew was so stunned when a UFO appeared in front of them they failed to lock radar on to it. The crew were returning from a ”low level” mission in the UK to RAF Laarbruch in Germany when they were flying through Dutch airspace over the North Sea. 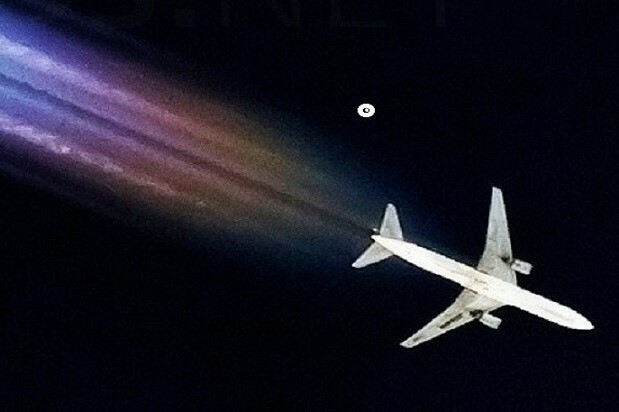 Without warning the UFO – as big as a C130 Hercules plane – appeared and they had ”never seen anything like it”. In written answers about the incident the pilot said: ”I did not lock the UFO on radar. My navigator and I were so surprised we did not think to do so. 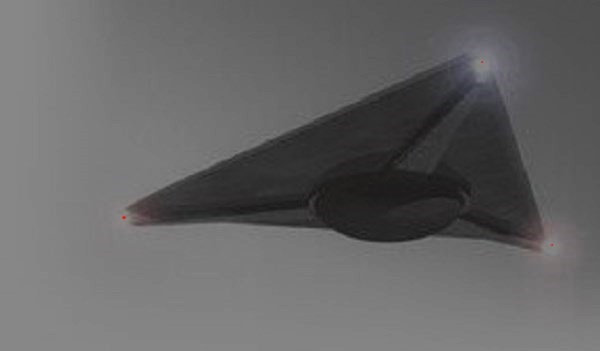 ”Indeed, for the majority of the sighting, the UFO was out to one side of my aircraft which would have required me to maneuver the aircraft to place within the radar field of view. ”Of more interest, despite repeated radio calls to Dutch Military Radar, the controller insisted that he could not see the UFO. ”After landing, our Dutch exchange officer, on my squadron, called Dutch Military to discuss the event. ”The controller insisted that no other radar contact was made at the time in the vicinity.” The spooked pilot said the UFO looked nothing like any plane he knew was in any service. Though he described the plane as being as big as a Hercules it had a smaller wingspan and the engine exhaust had ”a light blue afterburner-type flame which was steady but changing in intensity”. Two other RAF fighter jets flying out from Laarbruch nearly collided head-on with the UFO and saw it at the same time, the pilot said. ”These aircraft would have been close to being head-on to the UFO, while from our Tornado, the UFO came down our right-hand side at a great speed (ie, coming from the direction of the UK). ”We were doing 0.8 Mach and it readily overtook us.” He went on: ”This was definitely not a Russian satellite – I am 100% certain of that. ”This was a large ‘aircraft’ and I could see the detail of the lights and the engine area. ”I have never seen anything like it.” NOTE: The above image is a rendering. I stopped on North Livermore Road to make a phone call. It was starting to get dark. While looking for the number I noticed two lights just over the hills. As I’m looking out my passenger door window I keep looking at the lights because I felt they were too low for a jet on approach because the lights looked liked landing lights. There is an airport nearby but not for jets. But I was sure the lights were too bright and too far apart to be a small aircraft. As the lights approached they got further apart but continued in unison. At some point I got out of the car because I could no longer see both lights and everything seemed much darker, like no lights at all. When I stood up I could see the outline of something seeming to cover the sky. I looked to the west to see the tip or outline of this craft. It had sort of a red glowing on two sides but, they were not attached to wings but to the sides of the object. It must have been 1000 or more feet wide and at least twice that long. It seems in my mind to be much bigger but I can’t understand how. It made no sound as it went over me and turned west towards San Francisco. I could make out its basic design as it ascended and flew out of site towards the northwest. The back of the craft was huge and had two big white lights that you would have to say were engines. It looked like a giant black battleship in the sky. So much larger than my mind could imagine something being able to fly and no noise. NOTE: The above image is a rendering. One of the few UFO encounter cases which also involved animal mutilation occurred in May, 1973, and involved four women. Judy Doraty, her daughter Cindy, Judy’s mother and sister-in-law would have the most terrifying experience of their lives. After playing Bingo in Houston, the four women were returning to Judy’s home town of Texas City, but first going by Alto Loma to drop off Judy’s sister and brother-in-law. After dropping off the two in Alto Loma, the remaining four saw a strange light, which seemed to be hovering in the night sky. The sight was intriguing enough that the four women stopped, and got out of the car to get a clearer look at the source of the light. They watched in awe until the light disappeared. They then resumed their trip to Texas City. Eventually, Judy began to suffer from extreme headaches and anxiety. After being seen and dismissed by several doctors, she was referred to well-known Ufologist and hypnotist Dr. Leo Sprinkle. Sprinkle’s previous experience with the UFO enigma led him to recommend hypnosis as a way to relieve Judy of her emotional trauma. There can be little doubt that Sprinkle suspected an abduction from the beginning. Under hypnosis, it was revealed that Judy had apparently been abducted aboard an extra-terrestrial spacecraft. Judy went on in detail, describing how a cow was taken up into the craft and methodically mutilated by two “small entities.” During the hypnotic regression, Judy described the unusual sensation of being in two places at once. She said that she was still standing beside her car after they stopped to watch the strange light in the sky. She then went on to mention seeing her daughter Cindy on an ‘operating’ table. It would be a number of years later when Judy’s daughter Cindy would also undergo regressive hypnosis. Her session only corroborated her mother’s. NOTE: The above image is a rendering. I noticed a bright blue aura to the south of me (which would be my left). I could not believe my eyes. I pulled over at a turn lane that goes into a neighborhood. I am surprised that no one else pulled over. In great excitement I pulled out my cellphone and tried to record. The quickest thing that came up was to take pictures because I was nervous and excited at the same time. I watched the object for about a minute and snapped three pictures consecutively. 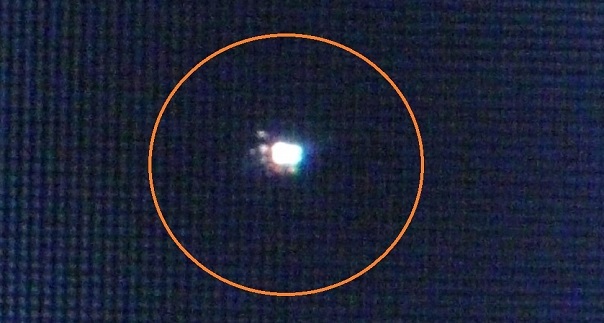 This object consisted of three round hazy blue lights in a triangle formation when zoomed in. At this point it changed into a disc like or missile like object with the blue aura surrounding it. When it changed into the disc, it immediately emitted a secondary object above it and at its two o’clock position. As the larger ufo (I guess mothership) moved slowly, it went into an angular direction towards the sky. While this was happening, the second craft dove down then up in front of the larger ufo at an angle also. They were both now flying in the same angular direction toward the sky. They were both in formation. They moved slowly for awhile then disappeared. I was embarrassed to report this until now because a few months back I reported a sighting that I witnessed in my neighborhood at five am. I decided to share this with MUFON because it is very important and I do believe we are not alone. My girlfriend and I were visiting a supposedly haunted location called Hells Bridge in Algoma Township, Michigan. There was a turnaround spot on a dirt road with a path leading off to the bridge. We had been there before and sometimes got scared by the place so we backed the car up to the path so that if we left in a hurry we would be facing the road. I was in the passenger seat and my girlfriend was driving. We sat for just a few minutes preparing ourselves to get out of the car. We were more timid than usual because we normally came with a group of friends, but since no friends were interested in coming, it was just the two of us. Suddenly, a bright blue-green light filled the car from the direction of the path behind us. I was looking at my girlfriend, and I didn’t want to look in the direction of the light. She was looking in the rearview mirror and staring at the light. I began to panic and yelled at her repeatedly, saying “DRIVE!” but she was unresponsive. Then the light was suddenly gone. She snapped out of it and we took off. We then returned to a friends house where we had stopped before heading out there. Our friend was surprised we had taken so long because it only takes 15-20 minutes to get there from his house, but we were gone for 2-3 hours. From the time that the light became visible, the whole episode felt like just a few minutes if that, so the entire trip there and back shouldn’t have been longer than an hour, but we were gone from 2-3 hours. Afterward I noticed an itchy spot on either my leg or arm, and I have witnessed UFOs on two other occasions in the years since. One of which was just months after this occurrence. I would really like to know what happened to us during the missing time and I hope you can help. Thank you. NOTE: The above image is a rendering. It was about 4 am; I was driving northbound on I-75 and with the exception of a car in front of me the road was empty. Then a very bright green object just appeared in the sky ahead of me. It wasn’t flying in a path, it just appeared, then sort of dropped on an angle but you can tell it was a path to the ground and then disappeared under the tree-line. I was able to see enough detail that it appeared to be a ship. I know this is crazy but it reminded me of those fighter type ships you see in Star Wars. This was no airplane, no balloon and the green light coming from it was just a very bright fluorescent green that lit up the sky. The entire time couldn’t have been more than 15 seconds but it was clear, I was wide awake and I’ll never forget it. As soon as it seemed to descend to the ground the car in front of me pulled over at what I now know as the Gordon Rest Stop. I followed the car because I had to see if this person saw it. I parked next to the other vehicle and as he got out, I said “did you see that”? He confirmed and said, “what was that?” I said: “that was a UFO, I’m not crazy right?” He said it caught him off guard and he didn’t get a good look at it, but knew it wasn’t normal. While he didn’t get as great of a look at it as I did, he confirmed to me I wasn’t crazy. I saw a very good shape of it; I can draw and send you a picture of what I believe I saw if you like. AS I drove off, the next exit was Calhoun, GA. I did not get the other person’s name. It was around 6:40 when I glanced out my window facing the South. To my left I saw a bright white/green light in the East and that was moving in my direction and I had a feeling about it; it just didn’t seem like a typical plane. I noticed it stop getting closer for a few seconds, appearing to just hang in the sky just over the trees. It then abruptly yet so smoothly turned to the South and then again back to the West towards me. It looked very strange, so I decided to take snap a picture of it and my jaw dropped when I saw the photos! The following abduction occurred at Bebedouro, Minas Gerais, Brazil, in the afternoon of 4 May, 1969. 24-year-old José Antonio da Silva, an enlisted 1969. 24-year-old José Antonio da Silva, an enlisted soldier, was fishing on a lagoon when suddenly he heard voices, became aware of figures moving behind him, and felt a burst of light strike his leg. He dropped his fishing rod and fell to his knees. Da Silva felt the craft rise. The beings talked animatedly among themselves in a language he did not recognize. After a long period of travel, he felt a jarring that suggested their craft had landed. The soldier was then blindfolded and led to a large room, where they removed the wrap from his eyes. A being stood in front of him who was extremely hairy and slightly taller than the rest. His waist-long hair was reddish and wavy. When the others took off their helmets, they were of similar appearance. Da Silva watched as the beings, at one point more than a dozen, examined his fishing equipment and took one of every item he had in duplicate. Later the witness noticed on a low shelf the bodies of four human men, one black, and became terribly frightened. Later still, the beings gave him a dark green liquid to drink out of a cubical stone glass. The dwarf leader then began a strange conservation with the soldier, mostly about weapons, which was conducted entirely with gestures and drawings. Da Silva also understood that they wanted him to help in their relations with humans. When the soldier refused, the dwarf snatched the crucifix from the rosary Da Silva always carried with him. As the soldier began praying, a Cristlike figure appeared to him, making revelations. Shortly afterwards, Da Silva was blindfolded again and taken back to earth. As the craft landed, he felt he was being dragged and lost consciousness. He woke up alone near the town of Vitoria, about 200 miles from where he had been fishing. He was dehydrated and hungry, but drank from a stream and was able to catch some fish as he still had his rod with him. Only his identity card, which the aliens had examined, had disappeared. He had a swollen knee where the ray had struck him and three open wounds on his neck where the helmet had rubbed against his skin. He had been away four and a half days. One of the central questions in this case is how Da Silva travelled the 200 miles from Bebedouro to Vitoria, and where his physical body was during his 4.5-day absence. NOTE: The above image is a rendering. I observed 1 object in the sky over Rte 287 & Old Farm Rd near the Hindu Temple. The sky was clear and beautiful. I noticed how bright and clear the stars were. I was driving in my car heading home from my boyfriend’s house and noticed a very “bright star” (wasn’t moving) up in the sky ahead of me. As I stared at it, it started to move so I began to look for airplane blinking, white, green lights etc. No, it looked like a bright white rectangle moving slowly in the sky, not like an airplane but like a rectangle coming my way. It seemed like the minute I thought it looked like a UFO, it “became aware of me at the same time” and headed towards me. I all of a sudden got afraid as I was the only car out on the road driving through a rural neighborhood and I felt I had it’s attention. It was heading towards me and I wasn’t going to continue towards it. I FELT STRONGLY I HAD TO GET AWAY. 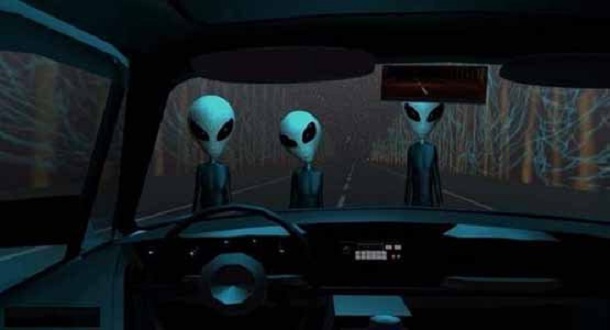 I have read abduction stories. I did the quickest U turn and headed back to my boyfriend’s house at top speed. When I got to work in the AM, our receptionist had heard on the NJ news about 3 other sightings in NJ. I believe what I saw and wonder if it has to do with the upcoming 12/21/12 Winter Solstice alignment!! NOTE: The above image is a rendering. 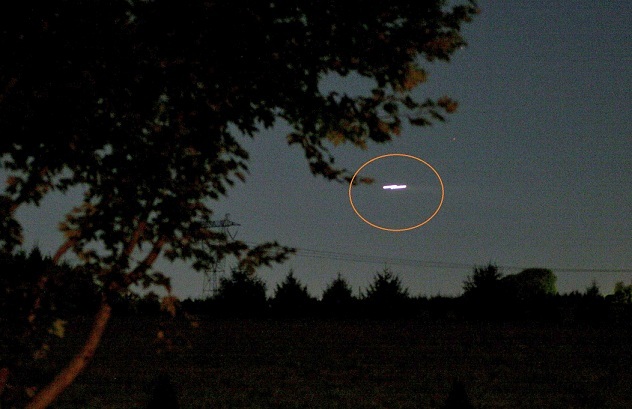 The above strange UFO was photographed by an amateur Astronomer over Alloway Township New Jersey on 9-24-07. 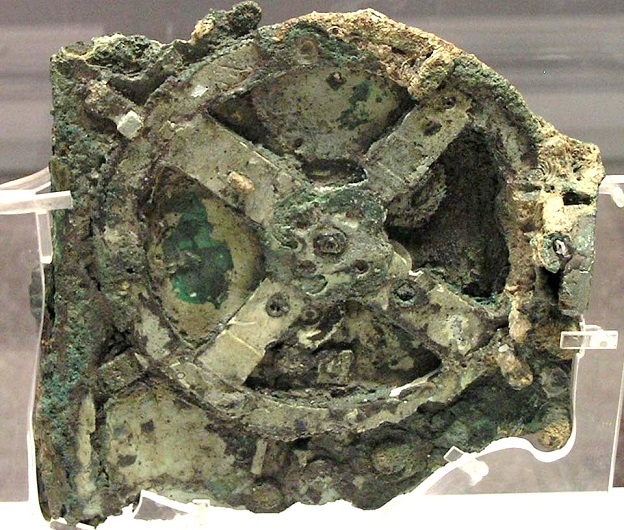 THE ANTIKYTHERA MECHANISM DATED 80 B.C. Buff Ledge Camp in Vermont would be the site of a visitation by four UFOs which would appear, make revolutionary aerial maneuvers, and alter the lives of at least two young people. Buff Ledge was a girls camp located north of Burlington on Lake Champlain. During their tenure as summer camp employees, Michael Lapp, a sixteen year old maintenance man, and 19 year old water ski instructor Janet Cornell were relaxing at a boat dock on a slack day. On this particular August afternoon, the swim team had a made a trip to Burlington to compete in a meet, and the camp was virtually deserted. Late in the afternoon, the two friends were enjoying the view of the sun setting over the water, when a bright light appeared in the darkening sky. At first, Michael thought they were being treated to a beautiful, close up view of the planet Venus. All of a sudden, the glowing light began to move downward, and ever closer to Michael and Janet. The object, at first a round glow, now began to flatten out as it came even closer. Michael shouted, “Wow! Venus is falling.” As the two steadfastly watched the light, three smaller lights seemed to drop from the larger one, which quickly moved up and disappeared from sight. The three smaller objects began to move over the lake. They were obviously under intelligent control. The objects put on a show for Michael and Janet, doing zigzag maneuvers, loops, and then descended like falling leaves. The three objects now moved even closer to the two baffled teenagers. After forming a triangle, two of the objects pulled back. Michael would later recall a sound “like a thousand tuning forks” when the two left the third craft alone. The one remaining UFO passed over Michael and Janet, then shot upward and momentarily disappeared. It very soon reappeared, tilted to one side, and dropped into the lake. A couple of minutes seemed to pass before the object reemerged from the water, and began gliding straight toward them! The object was now close enough to see a transparent dome occupied by two childlike creatures. Michael would describe the beings as having elongated necks, big heads, and no hair. Their eyes were also large, and extended around the side of their heads. Michael began to sense a kind of mental communication with the two beings. Watching them intently, Michael slapped his knee, and to his surprise, one of the occupants mimicked his movement. 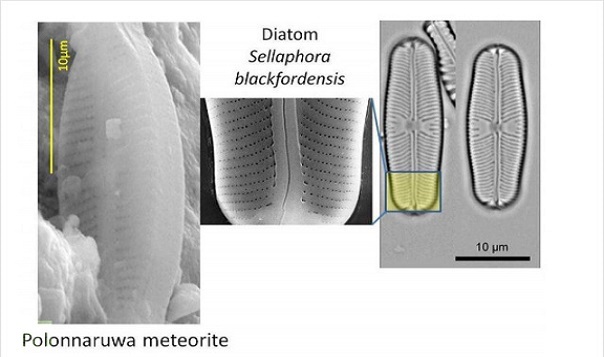 Now in another interesting development, Fossilized algae recently discovered inside a Sri Lankan meteorite could finally prove the existence of extra-terrestrial life, claim the authors of the new paper. 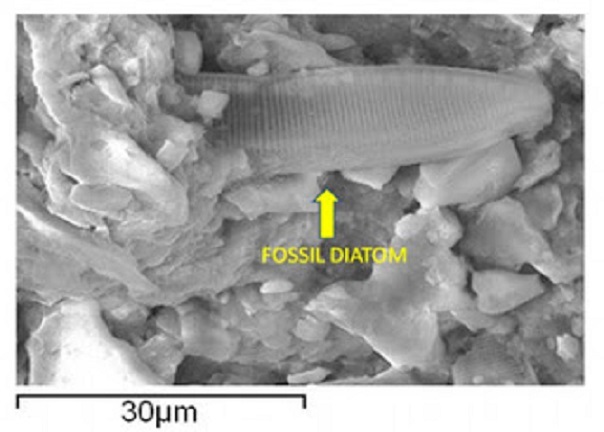 ­In a recently published article in the Journal of Cosmology titled “Fossil Diatoms in a New Carbonaceous Meteorite”, scientists from the UK and Sri Lanka claim to have found fossilized algae in a meteorite. 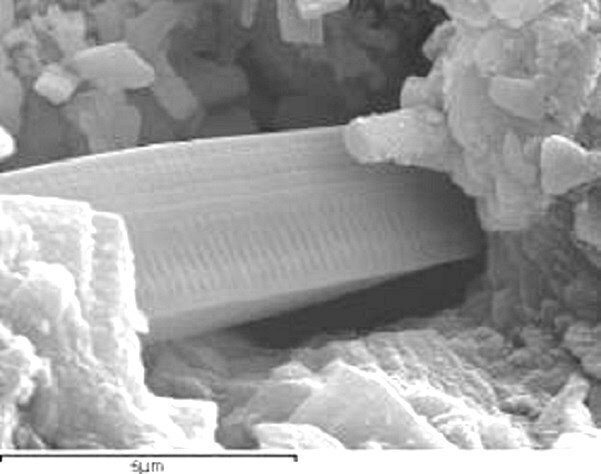 The paper alleges that “microscopic fossilized diatoms were found in the sample,” which fell in Sri Lanka in December last year. The finding, the work suggests is a “strong evidence to support the theory of cometary panspermia.” The theory argues that life across planets is spread by meteorites and asteroids. 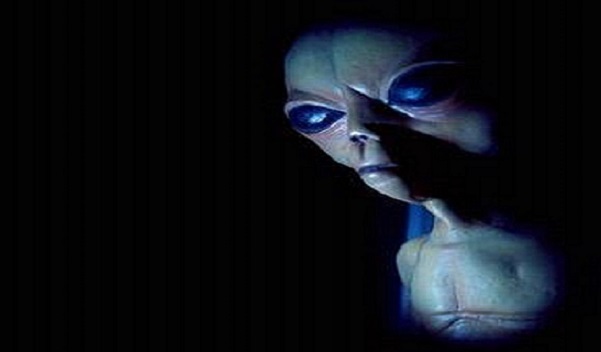 Panspermia suggests that life could have existed on another planet and moved to Earth. The scientists concluded the paper by saying “the presence of structures of this kind in any extra-terrestrial setting could be construed as unequivocal proof of biology.” Samples from the rock were collected immediately after a large meteorite disintegrated and fell in the village of Araganwila in Sri Lanka on 29 December 2012. KENS NOTE: There is life all over this universe. 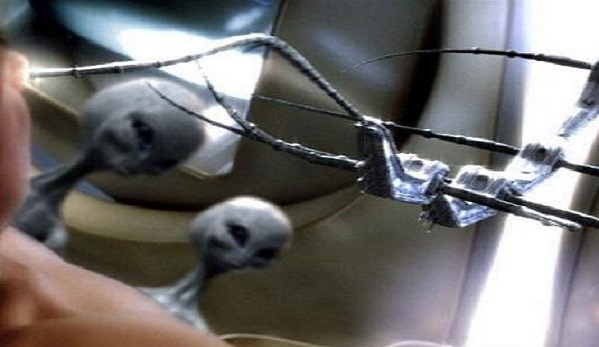 Some of it is too small to see and some of it is alien creatures flying around in space craft. This universe is so large it is impossible to really get your mind around it. If you think we are the only ones……….. WAKE UP. Twenty three lights moved steadily in the night-sky of Witbank, South Africa on Friday March 6 2009 — and scores of residents in nearby Middelburg also saw them. They called in the police, who filmed the odd formation of lights on their cellphones.Mrs Hetta Malan of Middelburg was one of the many Middelburg, South Africa, residents who spotted the formation that Friday-night. It was moving steadily towards the nearby mining town of Witbank, she told the Afrikaans-language newspaper Beeld. And police inspectors Chris Gatzonis and Awie Labuschagne of the Middelburg police station even filmed the lights, alas the images on their cellphones were poor. The footage, shown on the Beeld newspaper website, can be seen here. “We were on active duty and driving across the bridge at Aerorand in Middelburg. First we saw five orange lights, moving in formation going in the direction towards Witbank. Later only two were left. Then the clouds moved in front of them and we lost sight of them,’ said Chris Gatzonis. This was the first time the lights were spotted. And last weekend, the two police officers saw similar lights again — this time they counted a pattern in formation of 23 lights, coming back from Witbank. 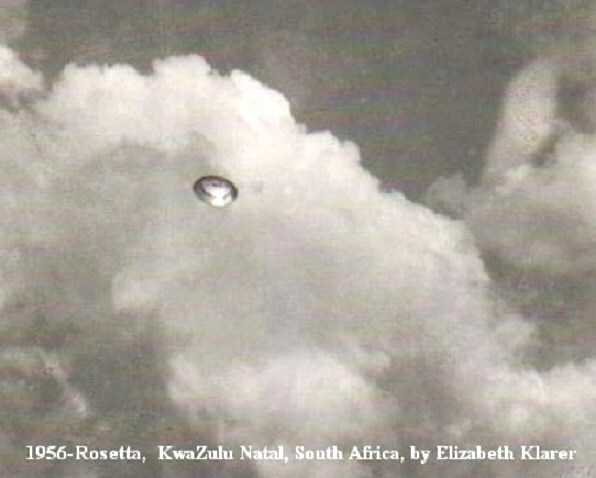 South Africa has had numerous UFO sightings over the years. – and many were seen by skilled observers. One of the most famous incidents occurred on September 17, 1965 by police constables John Locken and Koos de Klerk, who were were patrolling on the Pretoria-Bronkhorstspruit road, shortly after midnight – not very far away from the latest sighting in Middelburg last weekend. On September 17, 1965, these two patrolmen were shocked when their van’s headlights illuminated an unusual object on the road ahead of them. Right in the middle of the highway sat a disc-shaped UFO. The patrolmen estimated the diameter of the object at about 30 feet, and it was of a copper color. Within a moment, the disc-shaped object began to rise up from the road, shooting flames from below through double tubes of what the patrolmen thought were engines. The two men reported their sighting, and in part of the report, Constable Locken said: ‘Its lift-off was quicker than anything I have ever seen.” The men also reported that the flames were three feet tall above the road, and the great heat from the exhaust kept the asphalt afire for a time after the object had flown away. After the asphalt had cooled, the road was blocked off and the area of the sighting more closely examined by a large group of policemen. It was found that part of the road had actually caved in under the heavy weight of the UFO. There was a burned area of about 6 feet in diameter, which would indicate the approximate size of the engine ports. The official governmental investigation was done by Lt. Col. J.B. Brits, District Commandant of Pretoria North police station at the time. Around 4:00 pm January 18th 2013 on Friday afternoon in South Durham North Carolina on the “Third Fork Creek Trail” in the direction of the setting Sun (West) I looked up and I saw a airplane with a small contrail heading East (away from the sun) and something else very peculiar was very close to it almost riding next to it without a contrail. I thought that it looked very strange and was way too close to the airplane for comfort. The other object appeared to be round and smaller than the plane. Both were moving east, almost paralleled one another and very close it appeared both moving upwards and East. I fumbled with my cell phone camera to try to get a picture and by that time the object split off from the plane and went in a new direction. It was now moving in a horizontal line, where it was headed vertically before with the plane. I do not have details if it was a exact angle or how this happened but it was then heading in a straight line to the right, due North I believe. So the object is now moving in a different direction from the plane and it looked like it was moving much quicker than the airplane now but not so fast that it was completely unable to track. So I followed it with my eye for a few minutes and the sun illuminated it for about 10 seconds and then it got out of the suns illumination. So basically it is a round, silvery gray object moving in a straight line now. I noticed that it had a bit darker silver dome and a brighter silver underbelly and it was not the shape of an airplane. I say “dome” because it was not elongated like a plane, it was more round. I followed it for a while and I knew it was too high up in the sky to get a cell phone image it was just too high! I also did not want to take my eyes off it! It was heading directly to the right, in a straight line and then it just vanished right before my eyes. The odd thing is I had a feeling that it was going to vanish. I don’t know how I knew this. Its almost like a sense that it was going to vanish. After it was gone I could still see the plane I originally saw and how the other object looked absolutely nothing like it. The weather that day was completely clear, crisp 40 degrees F and sunny winter day without a cloud in the sky. The other planes in the sky all had little contrails and did not just vanish. This other “craft?” definitely stood out as being bizarre which is why I am writing this. I spoke into my phone and got all these details down as soon as it happened so things would not fade and get jumbled in my mind. I hope this report is useful, maybe someone out there saw it too or there is an explanation. It seemed different that just another plane. Something unusual about it, which motivated me to write my first ever UFO report. No one else was on the trail at that moment. It was like just me and this thing and I was mesmerized just watching it. It was actually a pretty incredible feeling and I am glad I witnessed it. NOTE: The above image is a rendering. I was at WL Parks doing basketball around 11 am when 2 pool cleaners screamed, “Hey look.” I looked at what they were looking at and saw a silver Frisbee-like object. The one guy said he watched it shoot backwards, then stay still, and that’s when he screamed for his friend to look which is when it got my attention. I ran over and they tried to take pictures and their cellphones weren’t working, so I ran back and got my camera that was in the truck. I just got back to a clearing by them when I zoomed in and took a picture. A second later it was gone; it disappeared as if you stomped on a soda can to flatten it. After me and the pool cleaners talked about what we had just seen and the picture on my camera wouldn’t show up. When I put the SD card in my computer when I got home it was there. I’ve been scared to come forward because of government and other people. I’d like for someone to give me an answer. I’ve been having bad headaches and trouble sleeping at night since this happened. I also noticed black helicopters in the air that day. All I know is that what I and the 2 others saw WAS NOT of this planet. If anyone wants to meet up and see the SD card with the original picture and pictures before and after please let me know. On the evening of January 14, 2011 at around 6:45 pm, I had just sent my children off for the weekend with their Nani (grandma). It seemed like a regular evening at home and as they left, I just began to go upstairs and revamp over in my head other things(chores, etc.) that I needed to do. While contemplating, I went upstairs into my bedroom and walked straight into my bathroom as I had to use it. Within my bathroom, there is a window that opens into our backyard. Often, I may look out this window just to notice the scenery of nature, trees, deer, birds, or just to look into sky, but this evening I noticed something different. What made me urge towards looking out the window this night was a distinct whirring noise that my nephew and I had heard the previous night before. So when I looked out of the window, I noticed that there were orbs of lights(between 10-20)right above the ground in the woods. They were moving and rearranging themselves in a circular fashion. When I first noticed this(in combination with the noise) I didn’t know what it was. I was just trying to understand why is something so low against the earth and what was it doing. Although, I heard the whirring noise all that I saw(at first) where the orbs of lights above the floor of the earth within the woods. No sooner than when I had came to in trying to comprehend what I was seeing, the orbs stopped rearranging themselves and formed(or locked into) a triangular pattern. As soon as this occurred, I heard an ascending noise of some type of craft from where the lights were showing and then a triangular-shaped three dimensional type craft appeared above the tree tops. 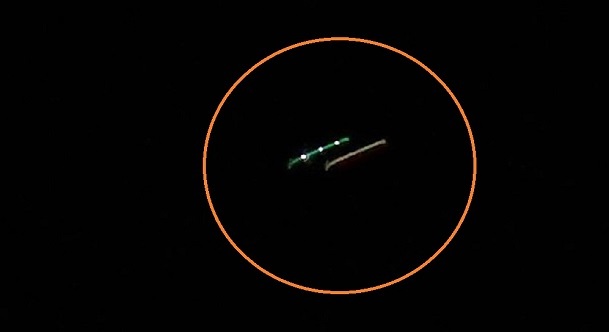 The distinct detail of the craft was intricate as it was a darkish blue green color but it looked as if the detail was nothing that I would have expected for the average UFO craft to look like. I had so many mixed feelings, like why am I seeing this, is this real, is it an airplane. Then telling myself no, this is not a plane because a plane would not be so low to the ground in this area and especially not within the woods behind my house. While contemplating in my head-space about what had just appeared, the craft glided sideways in mid air and it was as if time had frozen for me to see all this happen. I followed the craft with my eyes until it disappeared and then I heard another sound and saw that there were still lights that were in the woods. Next thing I knew, another craft had ascended up the same way as the other one, same detail and structure. It was as if they were giving each other a significant amount of time between each other, it was so mathematically precise on how they appeared one at a time. After the second craft appeared, it followed right behind the same path as the first one. In my mind, this was not happening to me, but it was and it was very crystal clear as to what they were but what were they doing was my main question- they were so close. No sooner than the second one was gliding off into the atmosphere, I still noticed that there were still some lights in the same spot within the woods. This is when I realized that it was a third craft had to be- I had just seen two. However, prior to this craft ascending all the way up above the trees, the third craft ascended half way and then stopped. The orbs of lights that I had seen were attached to the craft. When the third craft stopped midway I saw it and it released these orbs of lights (don’t know why or what it was for) into the woods and the lights disintegrated within the woods and upon the earth floor. After this, the craft ascended above the trees and then followed the path of the prior to crafts before it. I had seen not 1, not 2, but 3 official crafts no more than about 100 ft away from me from my window. It was no loss in sight within this experience, it was as if the universe wanted me to see these crafts and what they were doing. This could not have lasted no more than 5-7 minutes but it was so surreal as it was as if time had stopped, no crafts were flying (Although I do live by a heavily populated area for the RDU Airport)- the sky was clear. And as soon as the last craft was out of sight, I saw a small helicopter appear in the sky further in the distance. We are definitely not alone here and may have never been anyway. Interestingly enough, I decided to take a walk in the back of my yard and within the area of the woods where I had seen these crafts. What was very significant to me and another friend of mine was how much richer and greener and plush the grass was in the woods versus the anatomy of the grass in the rest of the yard. I don’t know the reasoning and purpose, but there is definitely one in regards to such visits. One thing is for sure, I was not scared, but was filled with deep emotion of gratitude, thankfulness and honored because I can truly say and affirm that we are not alone. NOTE: The above image is a rendering. I was standing to the east and north of the Driscol Bridge on the east side approx. 1/4 mile away from bridge which I could see on my left. I became aware of a brightness above me and to the right of the bridge. I looked up and saw circular lights (7) that appeared to be floating downward. I had an instant thought that this was space debris which was instantly replaced with the realization that there were 7 separate orbs in horizontal orientation and were of equal distant from each other. I couldn’t speak. After this observation as the orbs were on a trajectory for the earth, they suddenly stopped. I felt my stomach turn as I fully expected them to continue. There was no sound. The light from the orbs didn’t appear to radiate and they were white. Before I could get over the shock of this, every other orb suddenly began to drift downward and out of sight as the others maintained their positions. My mind was racing. Then the orbs that had disappeared from sight slowly rose back up and took their place in the original line. Then the other ones (that had remained up) slowly drifted down and out of sight as the returned orbs maintained their position in the horizontal line. Shortly, the orbs that were down rose back up and took their position in the line. There was no change of color or size and they were silent. Just as I was wondering what was going to happen next, the whole line of them rose and tilted up on the left and began to move towards the north west slowly. At all times they maintained a straight line and exact distance from each other. It was as though they pivoted on an axis. As this line now started moving to the northwest, I looked up in that direction. The sun had not risen, but the predawn light had just begun. I then saw where they were going. High in the NNW I clearly saw a large chevron-shaped object. If I imagine holding a grapefruit at arms length it may have been almost sufficient to cover the object. It was completely still and motionless and made no sound. It was tilted slight up and the open end was toward me. It was dull black with no observable markings. The chevron shape was square on the two ends and symmetrically the same toward the point. Under the chevron were three large, flat or slightly domed lights that appeared to be part of the object. There were 3 lights on the underside. They were large and bluish white. One light was under the pointed end and there was 1 under each end of the chevron. 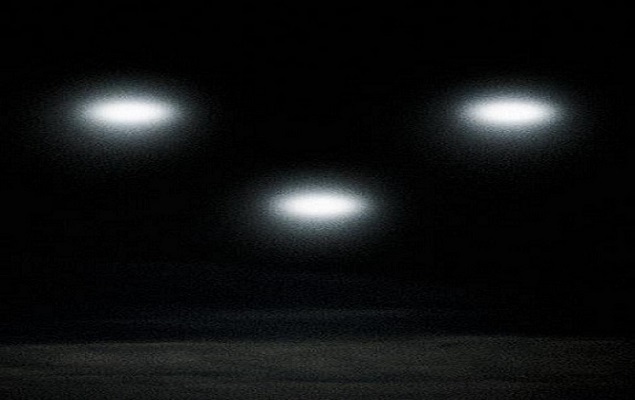 I was observing it and watching the row of orbs heading towards it, now parallel to the open end of the chevron. The row of lights seemed to bend around it and disappeared. I’m not sure where they went, but they were no longer visible to me. There was the briefest of pauses. I saw the object start to move and then it was gone. It moved so fast I can only imagined it was the speed of time. It didn’t make a sound. It didn’t leave a trail. It was just gone. This sighting has haunted me. I’ve tried to think of any explanation. It has affected my life. I still try to find ways of explaining it away, but I cant. Not flares, not meteors, too coordinated to be a random reflection on a low cloud ceiling. I’m convinced the object itself left this solar system, I have no doubt. I know for a fact there is no technology on this earth that can perform this way. As far as I’m concerned it is unexplainable. I am quick to point out hoaxes and really had no idea if ufo’s existed. I am a person who figures things out and I’m left with this unexplainable memory imbedded in my brain. I think scientifically and it didn’t fit any known laws of physics I’ve learned or learned since. Its the only thing in my life of 56 years that I couldn’t explain and it bothers me a lot. I think of it frequently. NOTE: The above image is a rendering. This case is under investigation by Ken Pfeifer of MUFON New Jersey. Traveling Highway 6 when noticed what he thought were red lights on top of a large truck. He had just passed through t intesection of Highways 6 and 63 at about 2:00 AM. On the way home from some family, I noticed an unusual light in the sky, it came abruptly to the side of the mountain. I told the person I went with, and we looked at this light as it hovered around 300 meters above ground, and was about 600 meters away from where we stood. The light was as vibrant and floated slowly sideways. It had a half round shape and it was very clear and hovered silently over the city. We stood looking at this for about 2 minutes and remembered that we could take pictures, that we did. I took a picture with my cell phone camera while the UFO shone with a reddish glow. A little later the object’s lights dimmed slightly and the object stopped and hovered then rapidly flew upwards to the south and disappeared. When we got home we transferred the pictures we had taken over to the computer and could therefore see these images much more clearly by zooming in on them and were thus confirmed the unusual sight was a UFO. When we zoomed in on the picture that I had taken one could clearly see that there were several small lights in red, yellow and green color, which hovered close beside each other or they were assembled in an object. The pictures mentioned have been taken with our / my mobile phone cameras (LG 570 to 5 mega pixels) and we then moved the images to your computer and then again took photos directly from mobile phone screen with a Panasonic lumix camera, 8.1 megapixels. This was the appearance images much better and much clearer. The last image, that is, the other with lighter / white glow was taken just before the object disappeared at high speed. Special thanks to the photographer and witnesses Arne Reimer and Randi Ostermann. 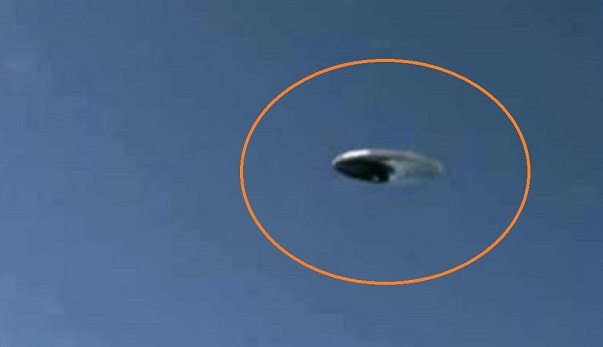 KEN PFEIFER WORLD UFO PHOTOS …….. Sighting reported to World UFO Photos. 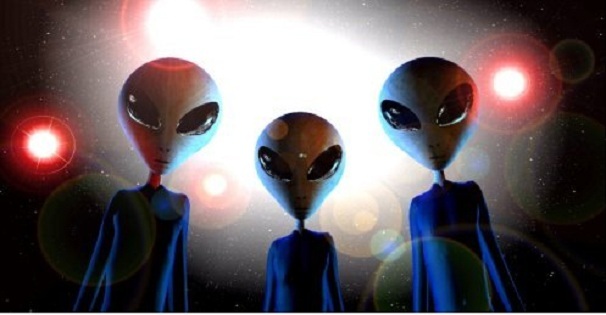 A husband and wife in Houston, Texas, claim they have been abducted by aliens several times, including an incident where a fetus was taken from the woman, according to a Local 6 News report. Clayton Lee said he was a child in a Houston park the first time he was abducted. He said he was lifted in the air at the time of the alleged abduction. “I remember just floating up higher and higher, Lee said. “And, all that was around were stars and blackness. 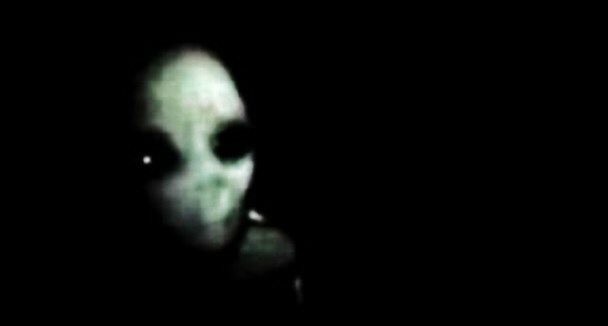 And then, I blacked out.” December 22, 2005- A husband and wife in Houston, Texas, claim they have been abducted by aliens several times, including an incident where a fetus was taken from the woman, according to a Local 6 News report. Clayton Lee said he was a child in a Houston park the first time he was abducted. He said he was lifted in the air at the time of the alleged abduction. “I remember just floating up higher and higher, Lee said. “And, all that was around were stars and blackness. And then, I blacked out.” Donna Lee said she lost a baby during one of the encounters. She also drew a photo of the aliens who abducted her. Local 6 News showed video of a hypnotist trying to retrieve memories of the abduction. “They’re touching me — quit touching me,” Clayton Lee screamed in fear during the session. Susan Clancy, who is a Harvard psychiatrist, decided to do research on people’s abduction claims similar to the Lee family’s. Clancy ran an advertisement searching for people who wanted to be included in her book about alien abductions. “When I ran the first ad looking for people who thought they had been abducted by aliens, I thought we would get very few calls, but we were inundated with calls for a month after we ran one ad,” Clancy said. Clancy said she is not a believer of alien abductions. 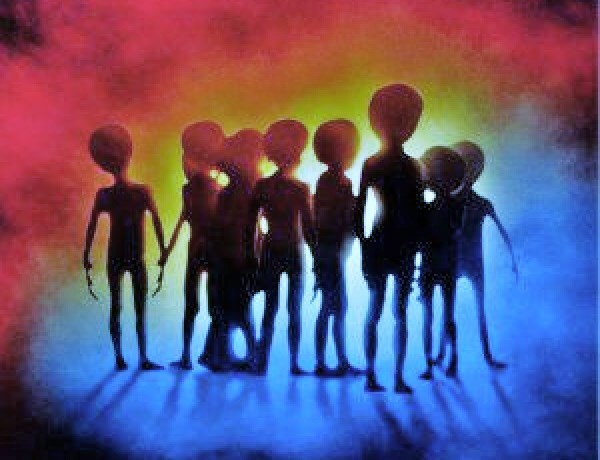 “So, people have symptoms like psychological distress, anxiety, sexual problems, nightmares, and for better or for worse, today, being abducted by aliens is a culturally available explanation for why you might have some of these symptoms,” Clancy said. The Lees told a reporter that they expect to be abducted again in the future. NOTE: The above image is a rendering.